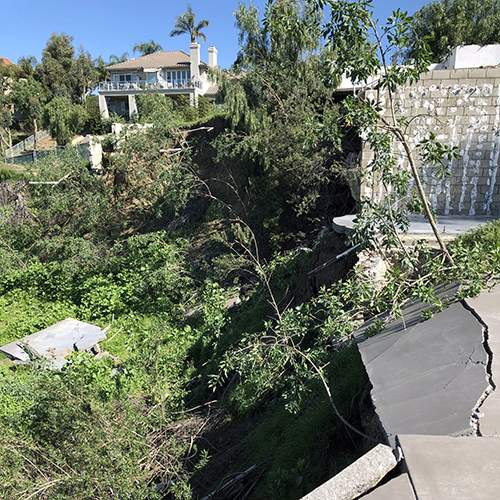 Hamilton & Associates provides geotechnical engineering and geology services for Landslide, Mudslide, Debris Flow,Assessments, Opinions, Evaluation, Investigation, Recommendations and Mitigation for a wide spectrum of sites. Projects include remedial repair of failed slopes, which may include damage to site improvements or building foundations. We work with the owner to evaluate the landslide conditions, perform geotechnical and geologic investigation, assist with building department plans and submittals, and observation and testing during repair and construction. 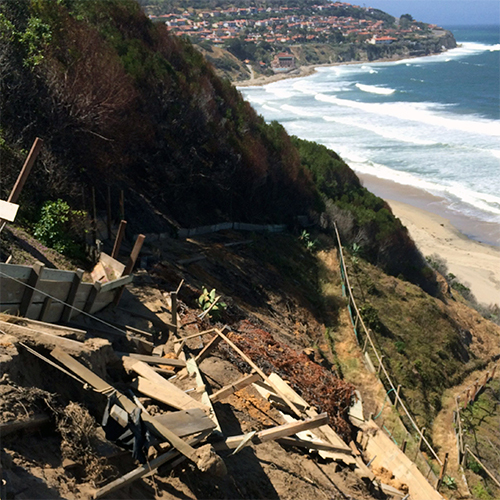 Other landslide investigations are on sites with existing older landslides where geologic investigation and geotechnical engineering is desired to evaluate options for improving the site for development. Since inception Hamilton & Associates, Inc. has performed more than 1,000 evaluations of hillside sites in Southern California. 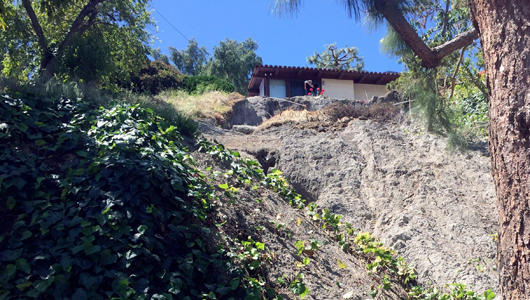 Investigations include geologic evaluation of common back yard slope failures to larger landslides on the order of 10-to 20-feet deep, numerous 1-to 5-acre landslides, even landslides as large as 20-to 40-acres. 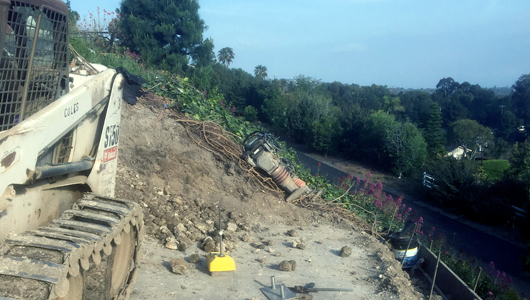 Hamilton & Associates commonly performs geotechnical and geological landslide and mudslide evaluations in Malibu, Topanga Canyon, Rancho Palos Verdes, Palos Verdes Estates, Rolling Hills, Pacific Palisades, Hollywood Hills, Beverly Hills, Holmby Hills, Los Angeles, Anaheim Hills,San Juan Capistrano and many other Los Angeles County and Orange County landslide sites.